Is opposition to sharia a social crime? 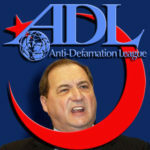 ADL now supports sharia. How can any supporter of civil rights defend the introduction of such barbaric “law” into the United States? 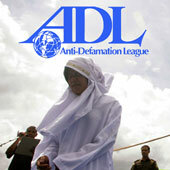 The following is an open letter addressed to the CEO of the Anti-Defamation League. It is a travesty that you brand as a hate monger a man legitimately attempting — via the U.S. courts — to legally defeat efforts of the above groups, among others, to increasingly impose Islamic law through secular U.S. civil courts and institutions. Unfortunately, the encroachment of these laws is not a “theory” but is a well-established fact. You may recall Wafa Sultan, who lived under sharia, and spoke quite plainly against sharia and Islamic precepts on Al Jazera, shocking the Arab and Muslim worlds. She has now done so in America too. Florida U.S. Rep., Ret. Col. Allen West agrees with Mr Yerushalmi — that sharia proponents have put America’s secular laws under attack for years now and, via the judiciary, have already had considerable success eroding them. Having served two tours of duty in Iraq, Rep. West is familiar with the Islamic laws and has seen them in action on the ground. FamilySecurityMatters.org Contributor Alyssa A. Lappen is a U.S.-based investigative journalist focusing on the Middle East and Islam. She is a former Senior Fellow for the American Center for Democracy (2005-2008); former Senior Editor of Institutional Investor (1993-1999), Working Woman (1991-1993) and Corporate Finance (1991). Sharia in action in Aceh. How can any supporter of civil rights defend the introduction of such barbaric “law” into the United States? It is deeply worrying that a lawyer’s opposition to sharia law — which runs contrary to the principles enshrined in the American Constitution and the Bill of Rights — should be used as a cudgel to attack him. When such an attack comes from a group supposedly aiming to defend the rights of Jews yet is seen to be apparently condoning Sharia, this obviously raises alarms about motive and intent. More so when leading proponents of Sharia in America have been shown to support the terrorist organization Hamas, which invokes the killing of Jews as part of sacred Islamic scripture in its Hamas Charter. This and other clauses that call for the delegitimization of Israel have not subsequently been removed from the Hamas Charter. Adrian Morgan, The Editor, Family Security Matters.